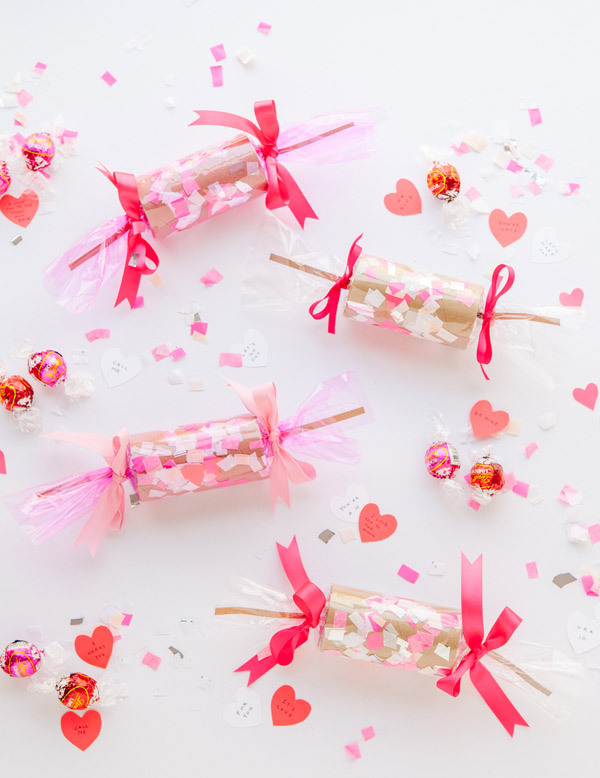 Step 1: Make any of the notes, hearts, prizes, or treats that you want to insert into the crackers. 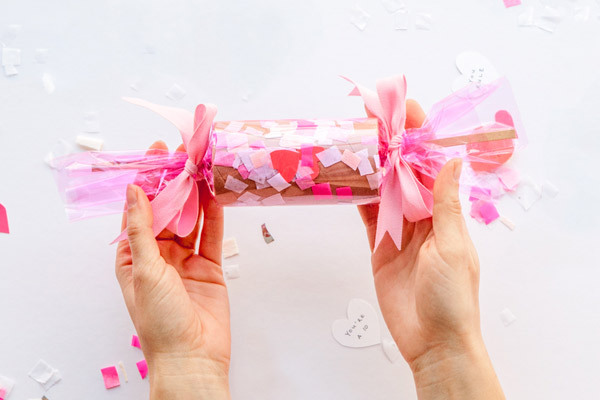 Step 2: Cut a piece of cellophane so it’s slightly longer than the cracker snaps and wide enough to wrap all the way around the cardboard tubes. 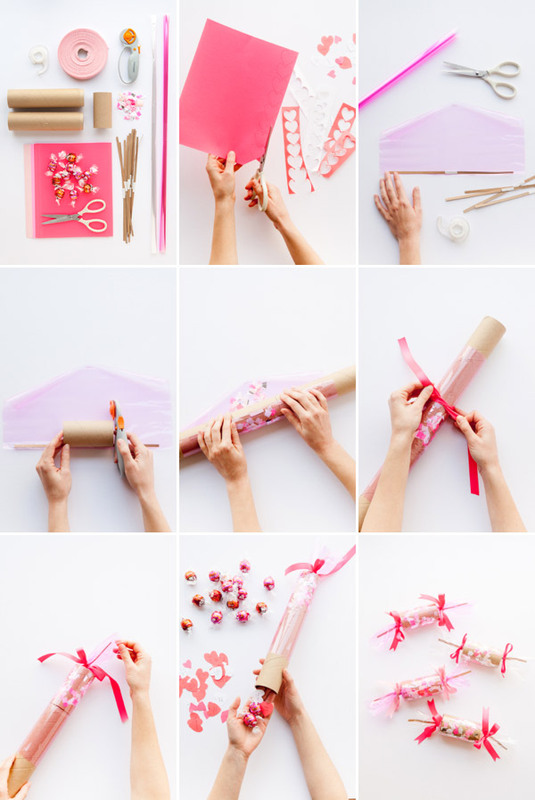 Use double-side tape to attach a cracker snap to the bottom side of the cut cellophane. 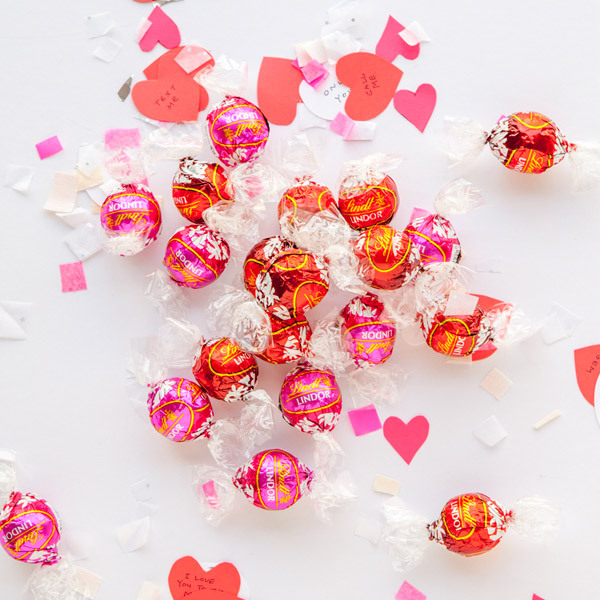 Step 4: Place confetti along the center of the cellophane, between the perforated lines. Attach both sides of the cardboard shapers to the center tube and tightly roll. Seal with double-sided tape. Step 5: Remove one side of the cardboard shaper and tie off with ribbon. 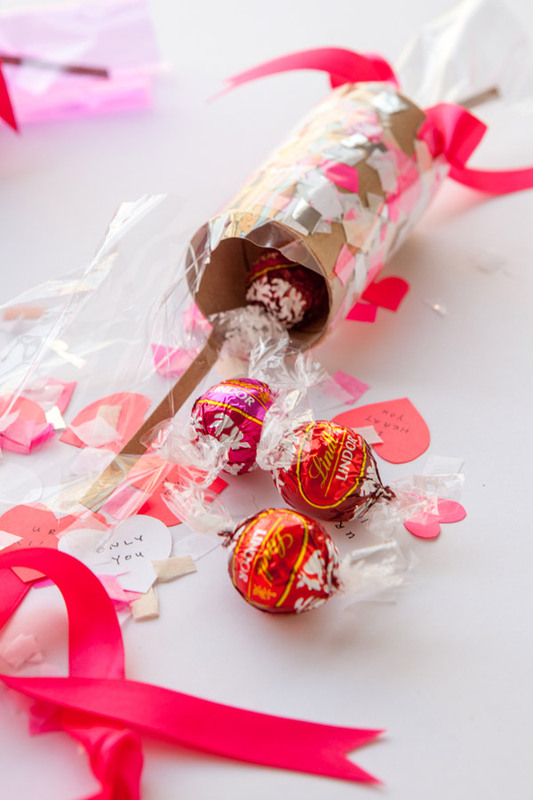 Step 6: Fill the other side of the cardboard tube with prizes, toys, truffles and love notes. Step 7: Once the tube is filled, un-attach the shaper and tie off with ribbon. 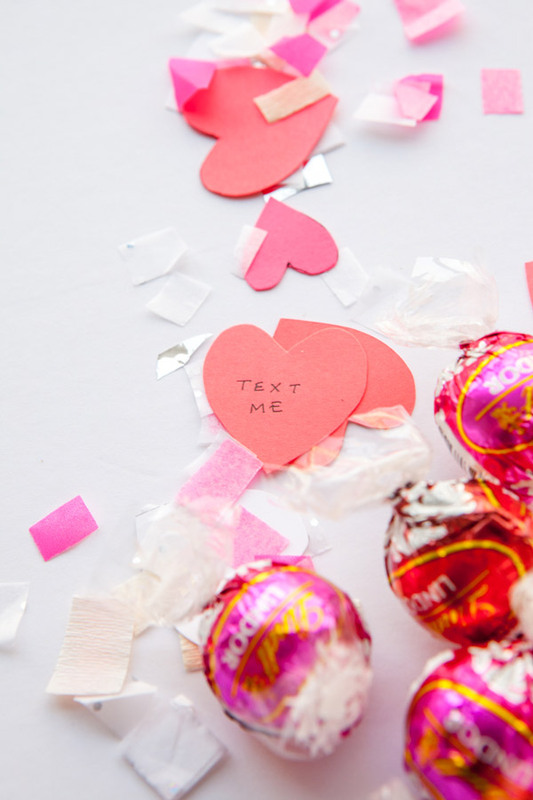 Step 8: Give out as Valentines! These instructions are confusing. What are those long stick things pictured? Do we have to have a special tool to perforate the cellophane? Love these, Jordan (love *all* of your projects). The cardboard shapers mentioned in steps 4, 5, 7 look like they’re just longer versions of the cracker tube, to help the cellophane hold its shape during filling, tying. Is that correct? Yes, the longer pieces have a lip that actually fit inside the cracker tube. It helps with tying the tube off. Wow looks beautiful! I love the colors. Could one use saved toilet paper tubes for the cardboard tubes?